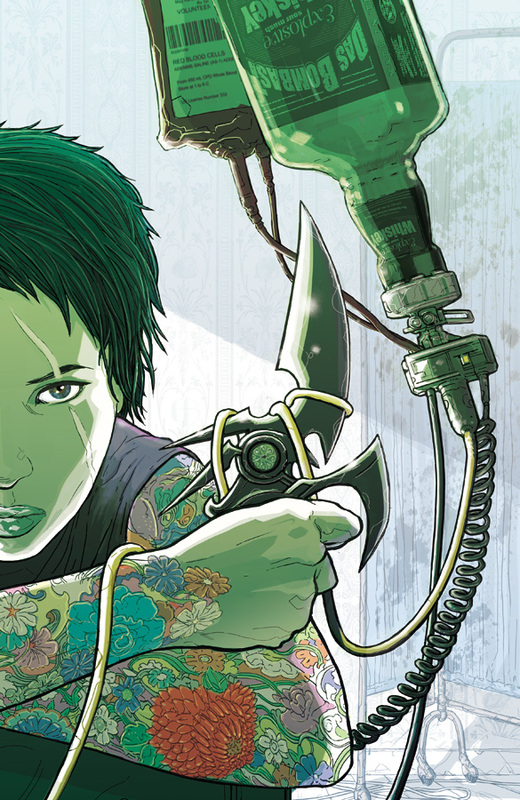 Here is my round-up of the first week of comics in 2013. As much as I wanted to read Fatale, I am switching over to the trades to save some money and try out some new books. 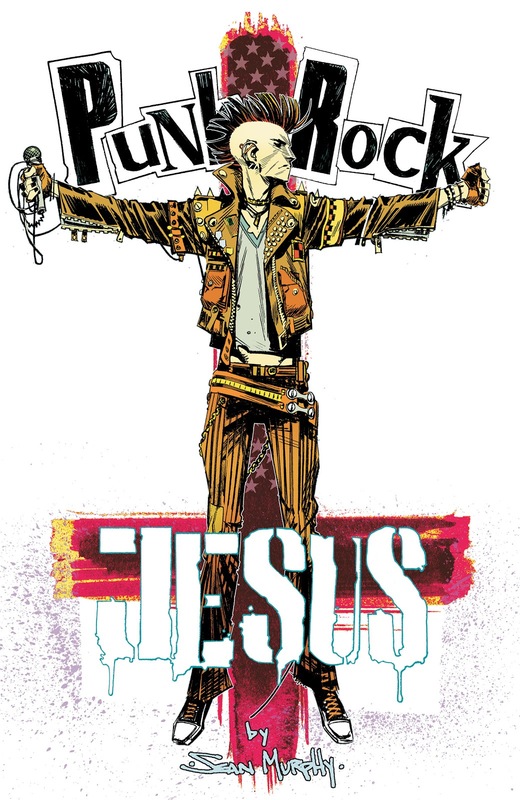 Punk Rock Jesus #6 - All hell breaks loose in the epic conclusion to Punk Rock Jesus from Sean Murphy. Jesus Christ and the Flak Jackets prepare for their concert in Jerusalem, we learn a shocking truth from Thomas' past, and we see the end of J2 as we know it. There are some major secrets revealed that I won't spoil, and the comic ends in the most satisfying panel in a series finale that I have ever read. There is a reason that this was on my list of best books of 2012. Go read this series now! Harvest #5 - We were left with Dr. Dane having just passed out after removing a bullet from his chest. Issue #5 picks up the action right where it left off when Mariko injects Dane full of adrenaline so they can continue their pursuit of Jason and rescue Marta. In an issue that features more kidney transplants, missing retinas, and provides more depth into Dr. Dane, I hope that this isn't really the end for the comic. The ending wrapped up some things nicely, but definitely leaves the door open for more. I am hoping that Image moved enough books to allow this series to continue. The New Avengers #1 - This may be due to my lack of history with Black Panther and Wakanda, but this debut did little to grab my attention. I wouldn't go out and say this isn't a good book, but given the context it definitely isn't for me. Mildly interesting story with a very predictable final page. Batman: The Dark Knight #15 - The fight between Batman and Scarecrow come to an epic conclusion in which we see Batman shoot his own blood into the streets of Gotham in order to counter the effects of the Scarecrow's latest toxin. Fun book with a nice conclusion to this arc. 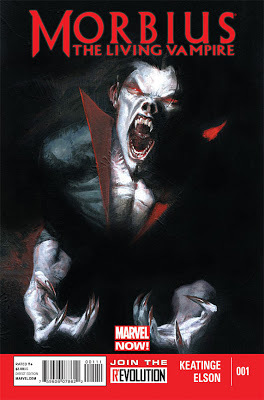 Morbius #1 - I gave this one a try on a whim and thought a vampire comic could be fun right now. It turns out that I was right and I enjoyed the return of Morbius. He just broke out of prison and is laying low in a town that is full of crime and corruption. A fresh take on vampires that dispels many of the typical vampire myths (garlic, wooden stake, etc.) in the first issue. Looks like Morbius is a character that wants to do the right thing, but ends up making things worse. I will be on board for issue #2.